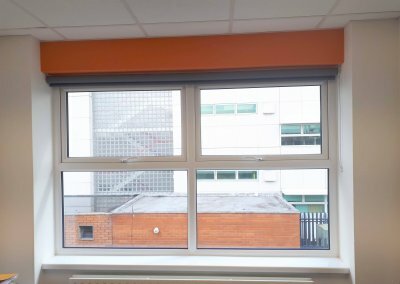 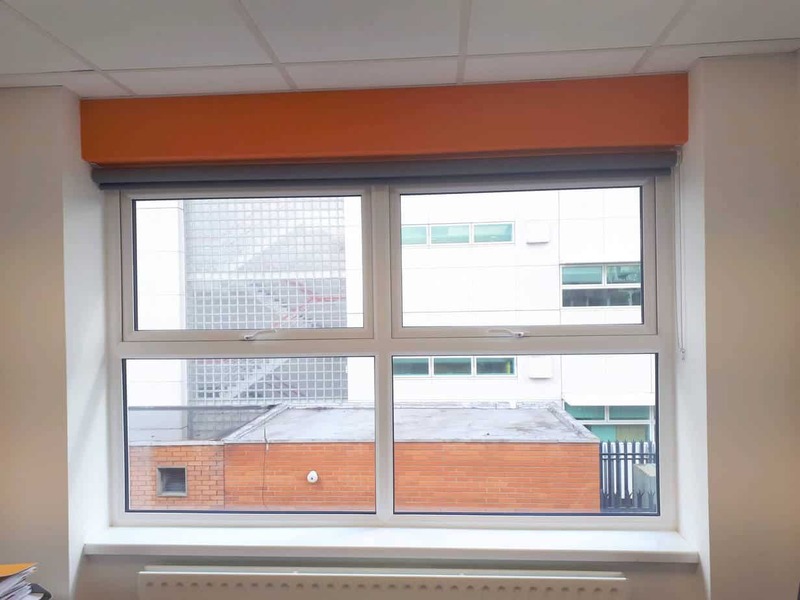 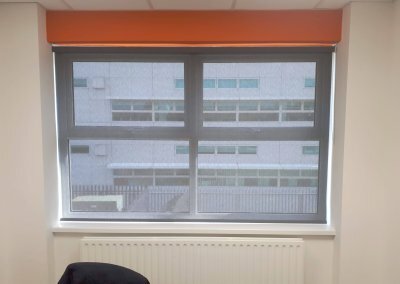 Roller Blinds installed in Office in Tallaght. 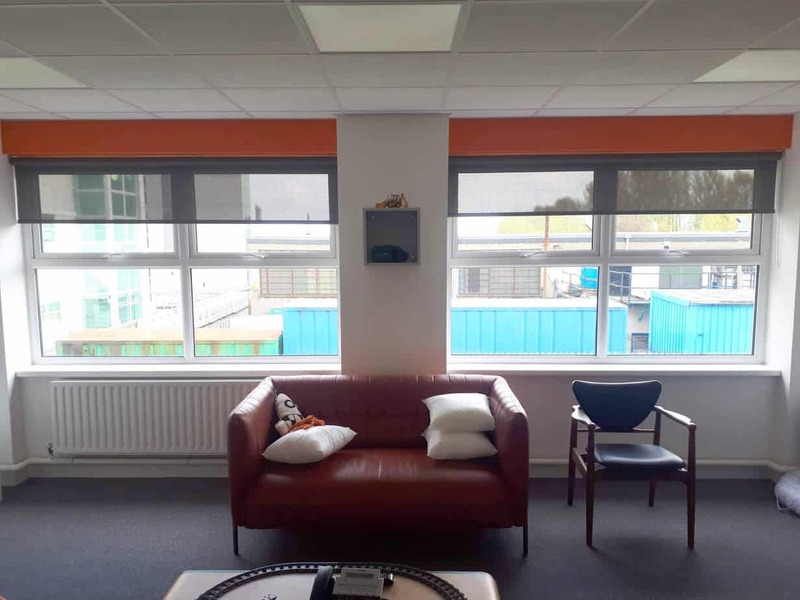 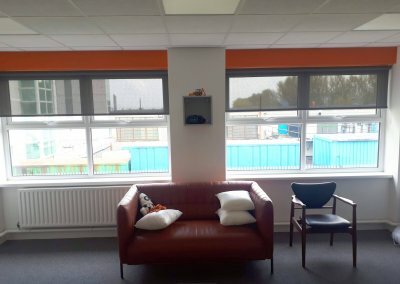 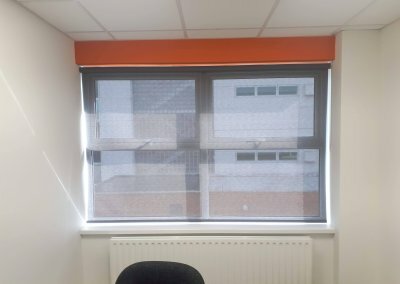 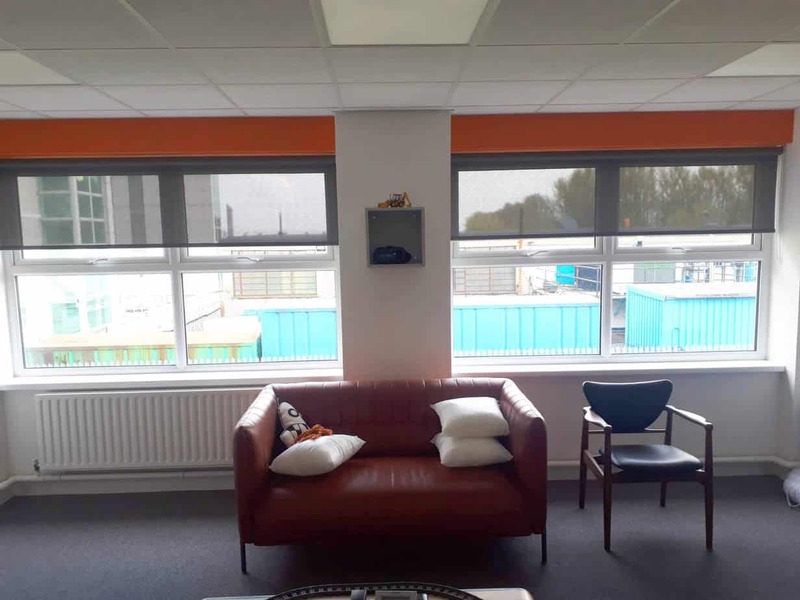 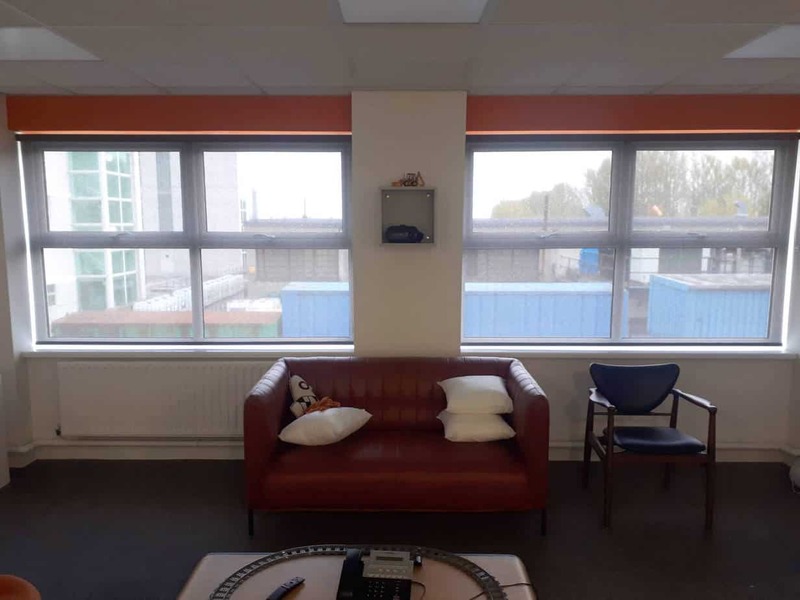 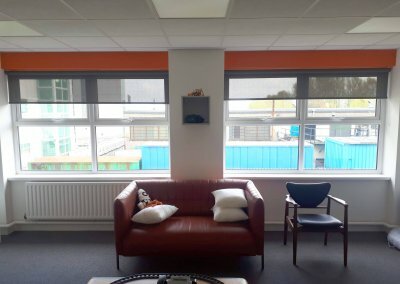 Screen roller blinds installed on few windows in offices. 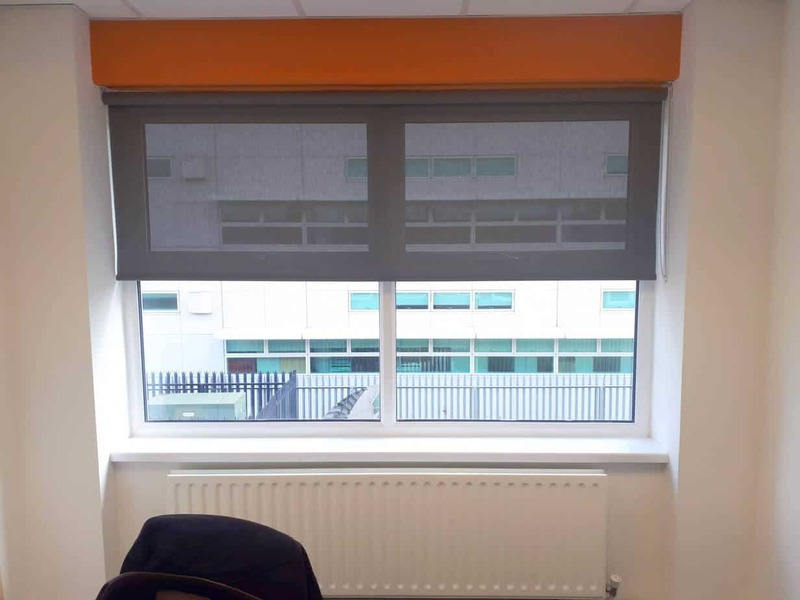 Screen rollers are a perfect solution for all the offices. 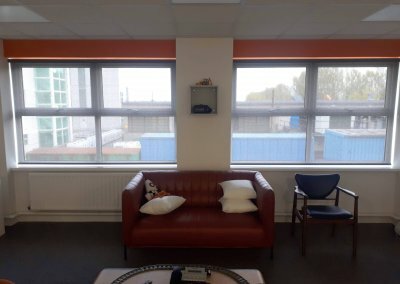 If you look at the pictures you can clearly see how they work. 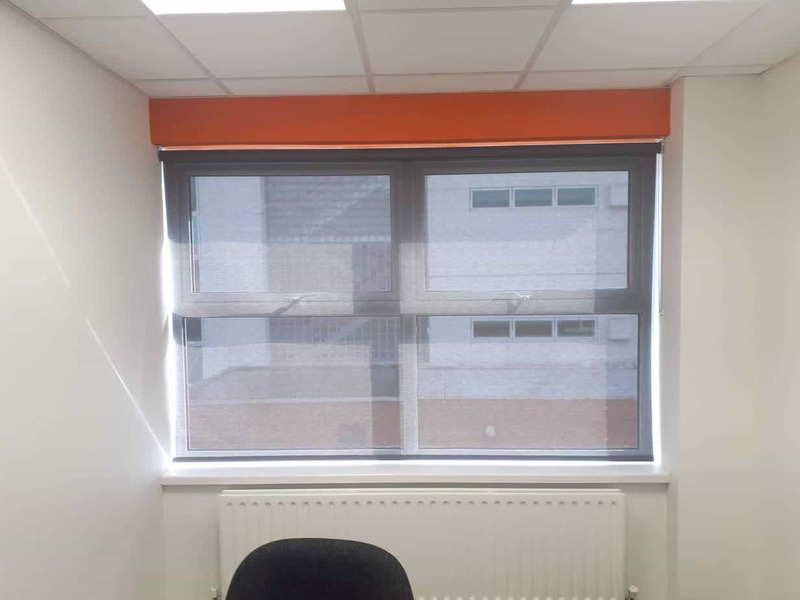 Light gets into the room but you will never be blinded or feel the need to squint. 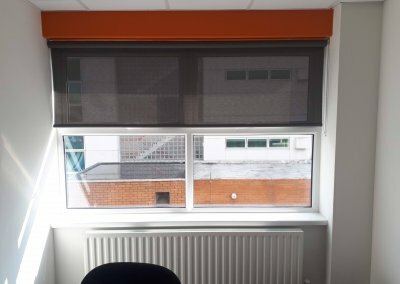 These blinds let you see what’s outside without letting others see inside. 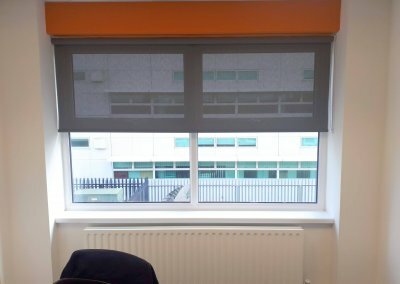 Screen rollers are made to reflect the sun and make the room bright when needed.